Hi! In this short tutorial, we will explain you how to configure your email and push notifications for new customer reviews. 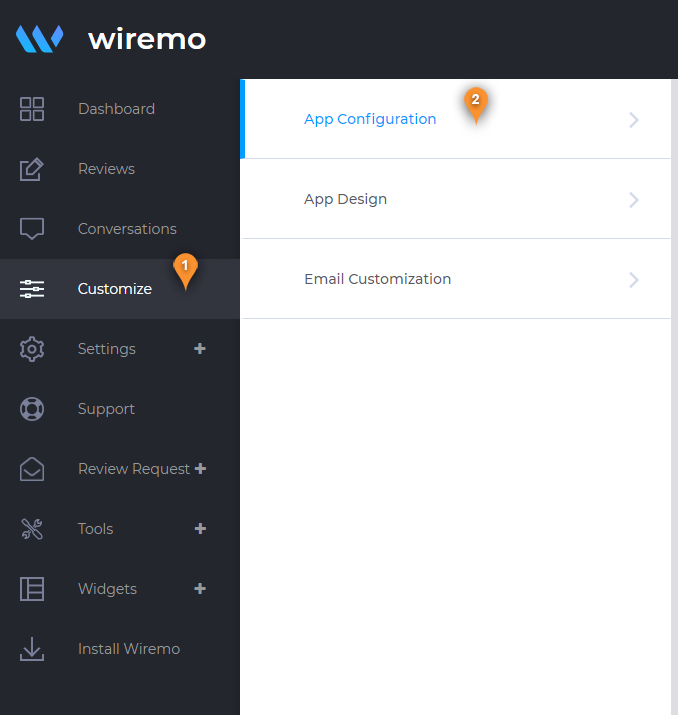 To configure notifications, please login to Wiremo Dashboard, go to "Customize" (pin 1), then choose the "App Configuration" section (pin 2). On this page please scroll down to find the notification options like “Push notification” (pin4) and “Email Notification” (pin 5). If you enable the “Push Notification” option, your browser will pop-up a message, for every received review. 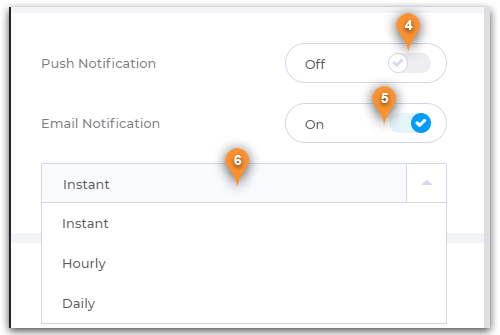 If the “Email Notification” option is enabled, then from the drop-down menu (pin 6), you will be able also to select how to be notified: “Instantly”, “Hourly” or “Daily”. Once you've made changes don't forget to scroll down and press the "Save" button. That's all! Thank you for choosing Wiremo!